I look forward to warmer days (and no snow) and being able to wear my favorite leopard pumps. I do love those pumps! Your feet are famous! Same here! I can't wear my heels until warmer days. Love those pumps! Thanks! I can't wait for spring. I love those pumps!! You can never go wrong with those shoes! 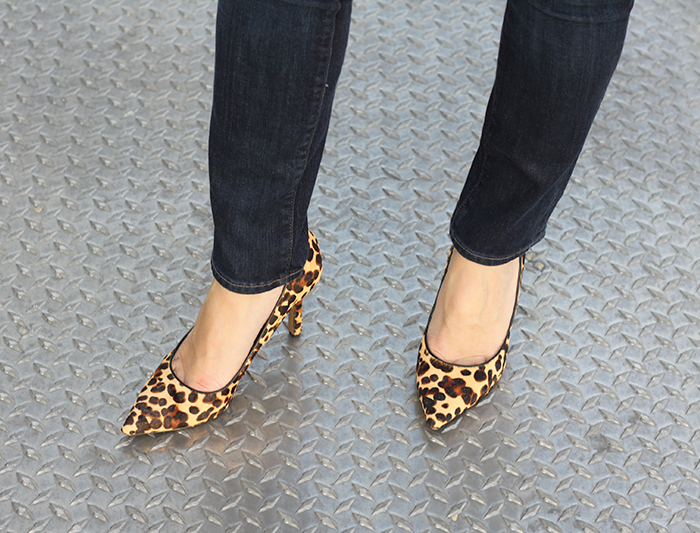 Nothing beats a classic pair of leopard pumps! Loving yours. Love the heels! I have a leopard pair I have almost worn out because they seem to go with everything. Thanks, Amy Ann. This is my second pair - I wore out my first pair. love the leopard pumps! such a classic! I am slightly obsessed with my leopard pumps!! Love your bag!! 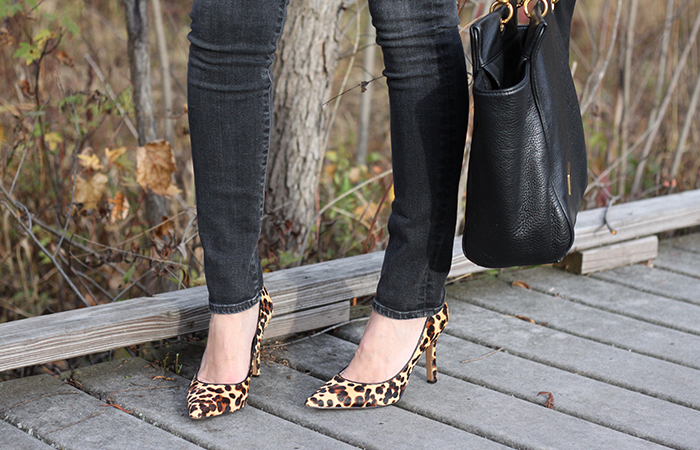 Don't you just love how much a pair of leopard heels add to an outfit? I do - I love mixing them with all different outfits.